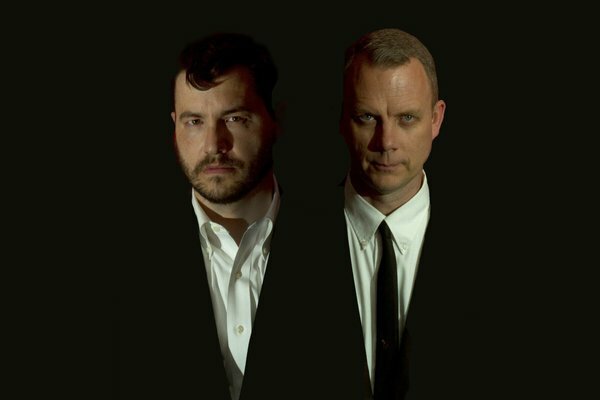 In over two decades of creative output, Matmos, the duo of Drew Daniel and Martin Schmidt, have seen their share of challenging situations for making music. Matmos have sampled a diverse array of sounds, from snails playing laser harps to surgical procedures. Their latest album, The Marriage of True Minds, draws on over five years of experiments into telepathy, conducting sessions in telepathic communications with their friends. While the duo have maintained that the album isn't intended to confirm or deny the validity of telepathy, it certainly makes for an interesting concept. During a visit to Berlin to debut their new live show during the Club Transmediale festival, we caught up with Drew Daniel to talk about physical modeling, playing live unsynced, and more. I have two distinct laptops running Ableton Live sessions. Most of our songs are parted out into large structural components on one computer; the other computer is where I'll be capturing live samples, or producing more odd, experimental beds of sound. Sometimes in the more rhythmic songs, both laptops will be running rhythmic loops, and I'll have to start the second one on the fly. I don't chain one laptop to the other - I deliberately like to keep the systems independent, so that there's always this sort of drift of time, in terms of when I "jump on board the train" of one machine from the other machine. The fun part is, often, when taking a song apart, I'll deliberately pull the clocks out of sync with each other, so that there's these overlaid patterns that are deliberately inconsistent with respect to each other. I like the resulting weird webs of complexity that happen when that takes place. The scary part, of course, is that sometimes I'm trying to jump on board and the sync isn't perfect, and everything falls apart. But I think that's a part of what we like to do when we're playing electronic music live - to avoid that bulletproof feeling and instead have moments of risk. The anxiety is that the audience can't tell the difference - perhaps they would rather have something more solid - but I like these "white knuckle" moments that happen as a result of running two systems. I use different controllers with each system. One is running an APC40, where I'm triggering clips - that's something where I'll be watching our drummer Sam and our guitarist Owen, give them the head nod, then firing all those clips at once is a signal that, "okay, we're going into this new section." The other laptop is running Live connected with a Behringer rotary controller, which I use to tweak out synthesizer parameters. I find that I have one way of playing when I'm thinking about clips as blocks of sound, and another way when I'm thinking about sculpting attacks and decays - both are interesting and fun, and I like to have the option of both. We approach songs by dividing them up into these two different worlds - now, with something like Push, it seems like there's going to be a "best of both worlds" where you can use both aspects simultaneously. The music video for "Very Large Green Triangles"
I used Tension and Collision pretty frequently throughout the album - particularly on "Very Large Green Triangles". In the beginning, we wanted to move from the raw audio from a psychic session to something that felt really full. We record from our basement - we've made all our records at home. Live, sometimes, through the ability to marshall this vast array of modeled resources, gives you this weird feeling of confusion about what is real or not real. I think that sort of movement of something very material - like a hissy recording of a voice in a room that was done with the mic of a video camera [that opens "Very Large Green Triangles"] to things that are very slick and yet expressive. That movement is part of what [song collaborator] Ed Schrader's talking about from his psychic session. He sees these [triangles] as simultaneously enormous and yet plastic. He said, "you might look at them and think they're phony, but they've also stood there for centuries." So I wanted a form of music that would have the simultaneous feeling of enormity, yet would make you ask yourself, "is it synthetic? Is it genuine? Is there something artificial here?" I love the way that you can trick the ear with an instrument like Tension, because it simultaneously has the feeling of something physical and played in a space, yet it's doing things that don't quite correlate to the physical restrictions of most real-world instruments. Something like a clavichord or a harpsichord that somehow morphs into qualities that you'd associate with a guitar. That sense of an artificiality that nonetheless feels physical - that's imminent to instruments like Tension. That's why I think it's so much fun to work with them.